Oceans and seas are great areas of salt water that cover more than two-thirds of the total surface of planet Earth. Seas are much smaller and shallower than oceans and are usually partly surrounded by land. Oceanographic research has gathered a huge store of knowledge on the physics, chemistry and biology of the oceans since the 19th century. Current work is now combining separate pools of information to help us understand how the living and non-living elements of the marine environment interact, and how the atmosphere interacts with the oceans. There are five large oceans on Earth: the Atlantic, the Pacific, the Indian, the Arctic and the Southern (or Antarctic) Oceans. They are really one 'world ocean' – a continuous expanse of water – with the continents of the world like big islands of land in this. We use and exploit the oceans extensively for food, energy and materials, and they have a major role in controlling our climate. Until quite recently, we did not know much about the dark depths of the oceans. Now, with the help of small, manned underwater vehicles, and unmanned remote-operated vehicles, we can explore the world beneath their surface. Explorers found that each ocean is shaped like a basin with a rim. The rim is called the continental shelf. Here the water is less than 200 metres deep. The real ocean bed lies 4 000 metres or more beneath the surface. This is a large, dark area that stretches for hundreds and sometimes thousands of kilometres. No sunlight reaches these dark depths. Here and there huge mountains rise up from the sea bed. They are called seamounts and are old volcanoes with their peaks far below the surface of the ocean. Less than 50 years ago, scientists discovered the longest mountain range in the world. It stretches for some 65 000 kilometres through the middle of the world’s oceans. The mountains are called mid-ocean ridges. Down the middle of these ridges run deep grooves, called rift valleys. The waters nearer the poles are icy cold. They mix together with the warmer waters nearer the equator, moving around to create ocean currents. How does this happen? Warmer water from the oceans around the equator rises to the top, while colder water from the oceans around the poles sinks to the bottom. This cold water moves along the ocean bed towards the warm tropics, while the warm water from the tropics is pushed back to the poles at the surface. The water moves round and round. Ocean currents are therefore caused by the rising and sinking of warmer and colder water. Mix the food dye into the water, pour the water into an ice cube tray, and freeze it. Fill the glass baking dish with warm tap water to represent the warm water near the equator. Place one ice cube at each end of the baking dish, representing the cold water near the poles. What do you think will happen as the ice cubes melt? See how the cold (colored) water sinks and moves along the bottom of the baking dish toward the warmer water in the middle. The warmer water moves toward the ends of the baking dish; as the cold water begins to warm, it begins to rise. Can you explain how differences in water temperature in different parts of the 'world ocean' cause ocean currents? Waves are made by the wind blowing across the surface of the ocean. The wind pushes the water upwards, making a wave crest. Gravity pulls it back down again, into a wave trough. See for yourself how waves are formed by blowing air through a straw across some water in a shallow pan. Sometimes, in the top 500 metres of water, the wind drives rivers of moving water for thousands of kilometres. In the open ocean water moves in great circles that are called gyres. In the northern hemisphere, gyres circulate clockwise, while in the southern hemisphere they circulate anti-clockwise. These currents have a huge influence on the weather. The oceans pose threats through floods (e.g. the tsunami (tidal wave) in December 2004 in Asia), storms, sea level change and coastal erosion. More than half the world’s population lives near the sea. Oceans are used for waste disposal. Most waste eventually ends up in the oceans, with the result that marine pollution is a global problem - every part of every ocean is now affected. But the most critical threats are to shallow seas and shorelines near highly-populated areas. For many years scientists knew more about the surface of the Moon than about the ocean floor. In recent years, however, they have made much progress with mapping the ocean floor, using sonar detectors. Sonar stands for Sound Navigation and Ranging. Sonar detectors send out pulses of sound. When the pulses hit the ocean floor, they send back echoes. The pattern of the echoes gives a picture of what the ocean floor looks like, showing features like seamounts and trenches. The time echoes take to return tells scientists how deep the ocean floor is. Sonar is also used to find shipwrecks and shoals of fish. Sonar was invented in 1915 by Professor Langevin in France to detect icebergs following the sinking of the passenger ship, the Titanic, by an iceberg in 1912. Some scientists think that climate change, perhaps helped on by human activities, will cause major changes in ocean currents. We cannot yet say what these changes or their implications will be. Some idea of the economic disruption which could be caused is shown by El Niño, a frequently occurring, natural phenomenon in which an ocean current suddenly switches off. In the 1997/98 event droughts, forest fires and air pollution were severe in some parts while floods and storms devastated other areas. Fisheries and agriculture were affected across the globe. All over the world, the sea level is currently rising at 1- 2 centimetres every ten years as the oceans warm and expand. Scientists predict that this increase will double in the next century. It will have greater effects where land is naturally sinking, or where human activities have damaged coastal protection. Most of the world's sea fisheries are over-exploited. Excessive fishing effort leads to the collapse of stocks and affects the ecological balance for all marine organisms. 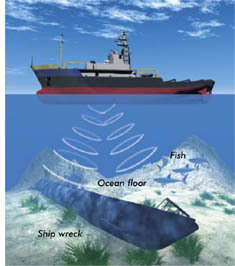 Certain fishing techniques such as bottom trawling and dredging damage the sea bed and coral reefs. 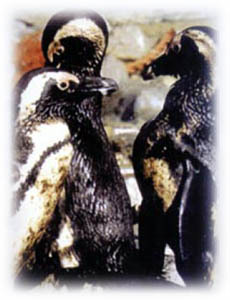 Other methods such as gill-nets catch large numbers of nontarget species including marine mammals, turtles and seabirds.  Documents on this site are in Adobe PDF format and are viewed in Adobe Acrobat Reader.